Alcatel-Lucent offers a broad line of digital cross-connect systems under its DACS line. The Alcatel-Lucent DACS II is a circuit-switched piece of networking equipment that allows lower TDM bit streams to be rearranged and connected within your network and higher TDM signals to connect to a wider range of services and best manage your traffic. Refurbished Alcatel-Lucent DACS II units are an easy and direct way to groom your network traffic so you won’t go down in the event of a partial network failure. These models support a variety of automated provisioning protocols so you’re secure, without the added costs associated with cross-connect patch panels. 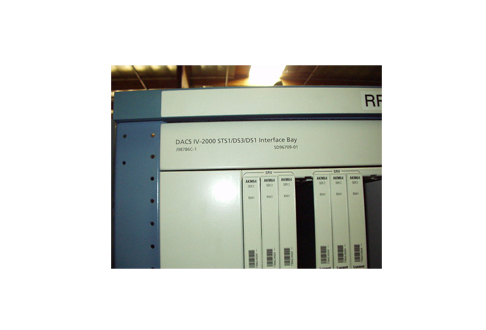 Your used Alcatel-Lucent DACS II will act as a switch circuit so arrangement and layout can be used and will persist over the life of your network equipment. They tend to last much longer than packet switches because you’re creating established routes instead of making millisecond decisions with each packet. We promote our line of refurbished Alcatel-Lucent DACS II because these models can accommodate significantly higher data rates compared to prior units, so there is no concern with access SONET systems. Worldwide Supply offers a full line of Alcatel-Lucent DACS II options so you can have exactly what you need to best expand your network. When you’ve built out too far or grown too large for the traffic that these DSC options can support, we’ll also buy back your used Alcatel-Lucent DACS II equipment. Together, we’ll grow your network exactly how and where it needs.